DISCLAIMER: This information contained in this document is designed only to provide general information about toxic mold and is not directed toward providing legal or medical advice of any kind. For proper legal advice contact an attorney. For proper medical advice contact a physician. How can I tell if I have mold spores in my home or office? Almost all of us already have two effective mold detectors: Our eyes and our noses. If black or green discoloration is noticed in a location that is damp or had been damp, it is almost certainly mold. If a building smells musty, there probably is mold somewhere. Not all mold is toxic mold and sometimes mold is not so easy to locate. Furthermore, once mold is located, it’s not always easy to tell what caused it in the first place, or the proper way to get rid of it, and whether or not it is toxic mold that presents any health risks. If you smell mold or see mold growth, water stains, dripping faucets, of just feel dampness in your home or office, you are a likely candidate for mold problems. If you think you may have a problem, especially a toxic mold problem, remember that it’s always better to address mold as early possible. As a rule, by the time most people suspect they have a mold problem, they do. That doesn’t necessarily mean it’s a big problem, or that it’s a toxic mold problem. But the earlier you catch any mold problem, the more manageable it is and the less expensive it is to correct. Most of the toxic mold horror stories you hear about in the news, costing thousands of dollars to repair, are the result of mold problems that were undetected or ignored over long periods of time. AIR AWARE can spot early warning signs and test virtually any surface, as well as indoor air, and provide you with an accurate assessment of your mold situation. How does mold become a problem? All mold needs for growth is food sources and appropriate climate. Oxygen-rich environments with either standing liquids or humidity over 70% are optimal for mold growth. Toxic mold is not often found in the outside air, however, mold growth found indoors on construction materials is often times toxic mold. Mold grows well at temperatures between 60 and 80 degrees Fahrenheit, which are also ideal temperatures for human comfort. Mold does net need to be viable (alive) to be irritating to humans and animals. However, viable mold can cause tremendous damage to property when materials get wet and/or the moisture and humidity rise above 50%. Left untreated, mold will eventually destroy anything it grows on. Mold becomes a problem to your health when microscopic spores are breathed into the lungs. 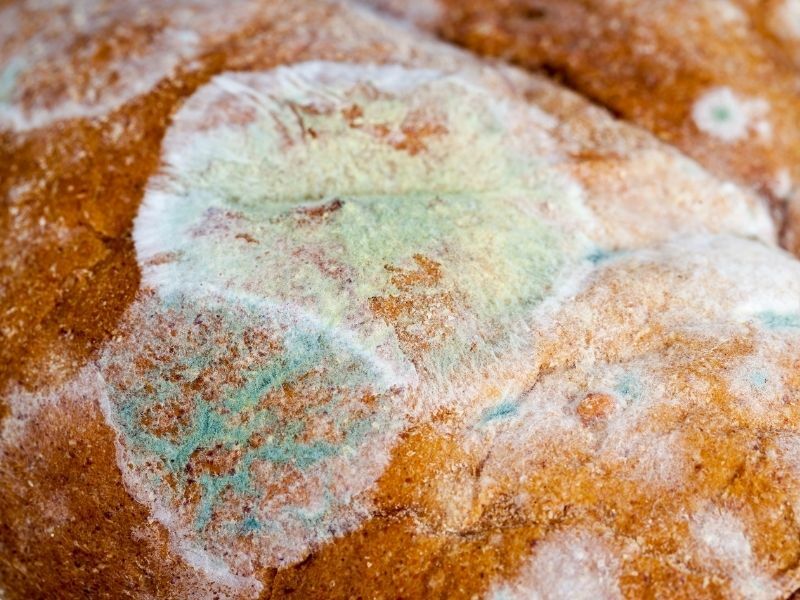 No one ever got sick by looking at mold. They get sick, as a rule, by inhaling airborne mold spores. It is also possible to get sick from ingesting mold and/or skin contact. Most people of reasonable intelligence would not touch mold, let alone eat it. However, toddlers and small children who crawl around on mold infested carpet make skin contact and may in fact ingest mold by putting their hands in their mouth or handling food. Carpeting and other floor surfaces can be full of mold spores without actual showing any physical evidence of surface mold. Laying around on mold infested furniture or wearing moldy clothing can also contribute to mold related skin irritations and sickness. Toxic mold can have even more serious implications for both humans and animals. High levels of molds, especially toxic molds, are not healthy for anyone inside a building. Some people can live and work in a mold contaminated environment for years and experience little, if any serious health effects. Conversely, others people can’t even enter a building where an elevated mold condition exists without getting sick. “Sick” can mean a number of reactions including, eyes watering and scratching, nose and throat clogging like cat allergies, mild to severe headaches, nausea and more. Often times the effects clear up after leaving a mold infested building. Individuals who appear to be at higher risk of contracting some kind of mold related illness are infants, the elderly, those with compromised immune systems (HIV infection, liver disease or those undergoing chemotherapy or radiation therapy), pregnant women and individuals with existing respiratory conditions, such as allergies, multiple chemical sensitivities and asthma, pneumonia or bronchitis. Healthy, active people are less likely adverse reactions at first. However, extended exposure to molds can be a health risk to anyone. If you have concerns about your health as it relates to mold, toxic mold or mold allergies, you should consult a physician for advice. What are the symptoms of exposure to mold? It should be noted that this information is widely circulated “industry standard” information and does not suggest or imply that you will or will not experience the same symptoms. Some molds, often referred to as toxic mold, will produce mycotoxins (poisonous toxins) that are known to cause more severe irritations than non-toxic molds and even cause chronic health problems in humans and animals indiscriminately. Simply spraying or fungicides on mold will not remove or inactivate the mycotoxins that have already been produced by toxic mold and may now be airborne. Again, mold does not have be alive (viable) to cause health problems. Both humans and animals can have adverse reactions to dead (nonviable) mold and mold spores. Not all molds produce mycotoxins all the time. It is common to find a strain of toxic mold growing on a surface sample, but not in an air sample taken from the same room. The reason is that some toxic molds, such as Stachybotrys, tend to be heavier than other molds and therefore are not as easily stirred into the air. Most molds are light and airy. Stachaybotrys, however, is moist, even gel-like at times, making it “sticky” and harder to get in the air. This in no way implies that Stachybotrys or any other toxic mold does not get airborne. It does in deed. All molds can send millions of spores into the air, especially when disturbed in the removal process. Cleaning mold can fill the air with spores that will subsequently land on all the contents of your home. Lighter molds become easily airborne with the slightest movement of air from fans, heaters, air conditioners, people traffic and dusting.